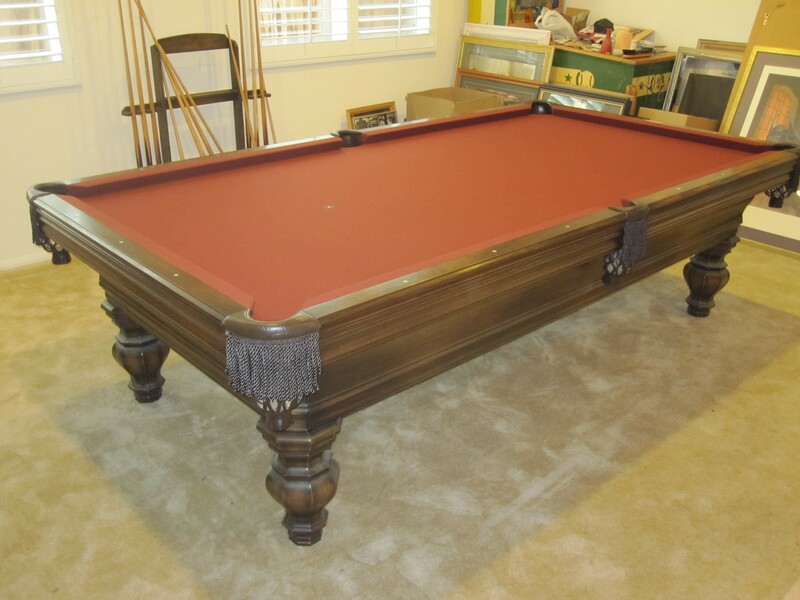 We finished setting up this beautiful nine foot Charles A. Porter original Renaissance pool table yesterday for our client in Anaheim Hills, CA. 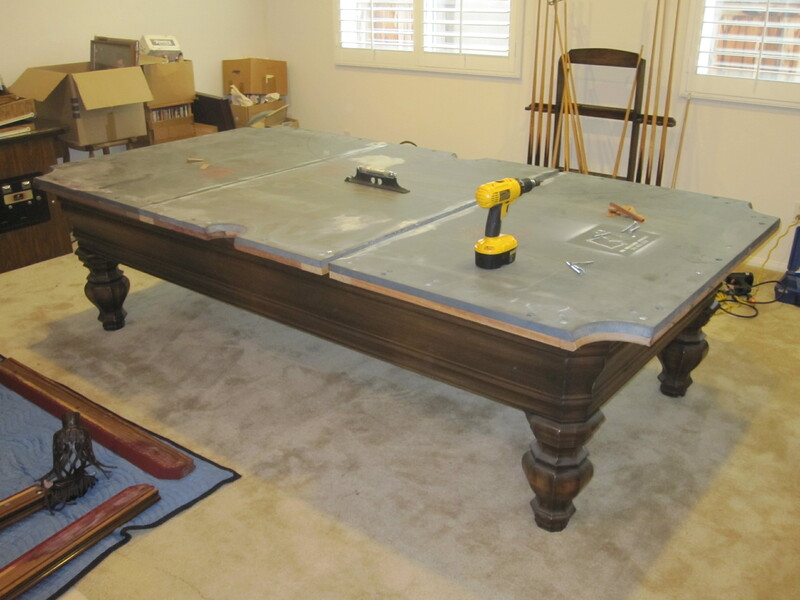 We originally setup this pool table table in 1999 at our client’s former home also in Anaheim Hills. About three months ago he moved to his new place and had us move it in for him. Unfortunately, his 15 year old ailing cat had managed to get up on top of the pool table and urinate in two spots. 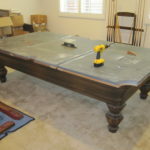 Back in July, when arrived at the old house to start the disassembly and move out of the pool table. I noticed that the felt was damp, I lowered my nose down a little to sniff and boy let me tell you, it was definitely cat pee. The cat had passed away and left a not so nice reminder behind. The urine had saturated the cushion rubber on two of the rails, it had also soaked into the wood as well. We tried to let the rails air out a bit and even tried to spray some urine neutralizer. 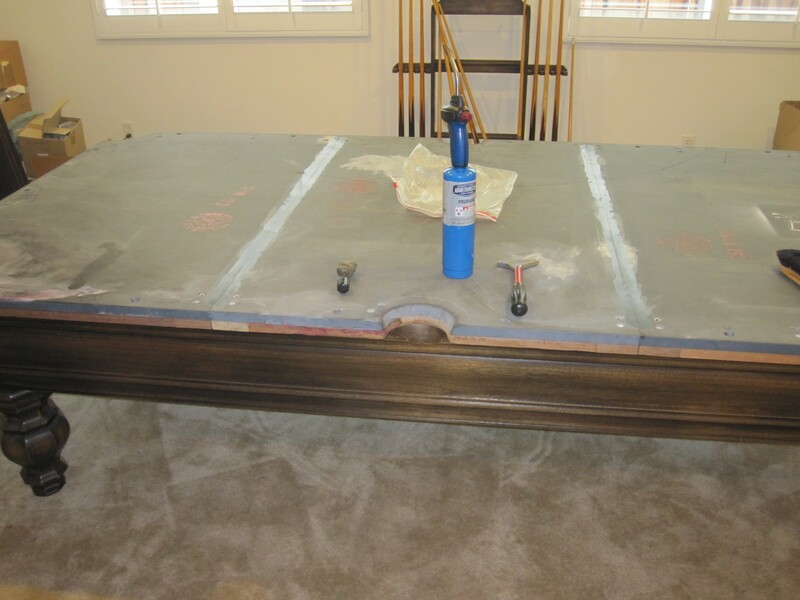 We ended up replacing all of the cushion rubber and refelting the rails with Mali 10820-f Mahogany cloth. 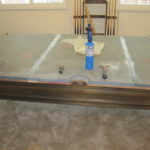 Yesterday we went back to finish setting up the pool table. There was still a hint of pee-pee smell on the pool table slate. If you have a potential cat urination problem, we sell heavy-duty fitted protective pool table covers.